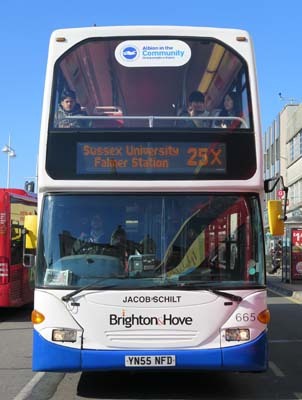 Connections with Brighton and Hove : Jacob Schilt was born in 1992 in Brighton. He started playing football at 5 years of age for Patcham United FC and attended Patcham Infant and Junior Schools. 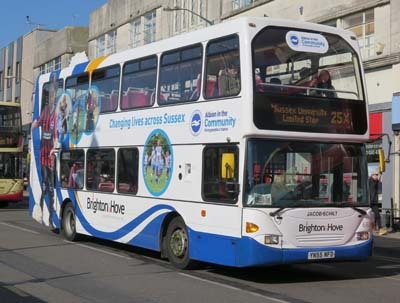 At 11 he transferred to Hove Rivervale and he started Varndean Secondary school where he captained the school football team. He attended Varndean 6th Form College where he played in the football team. 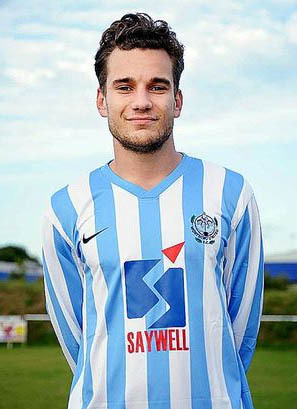 He was now playing for Eastbourne Town until he went to Portsmouth University to study Geography. In 2014 he obtained a 2:1 degree in Geography and returned to live in Brighton. He played midfield for Worthing United first team and he was all set to start his masters in Planning at Brighton University. He lived at home with his parents Bob and Caroline and his sister Louise. He had a temporary job as a delivery driver for Sainsbury's and enjoyed a busy social life with his many friends. 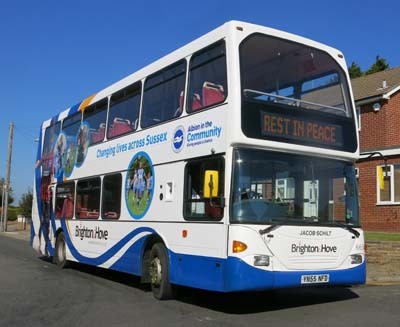 He had a bright future ahead of him with his lovely girlfriend Megan, when his life was tragically cut short on 22 August 2015 in the Shoreham air show disaster. 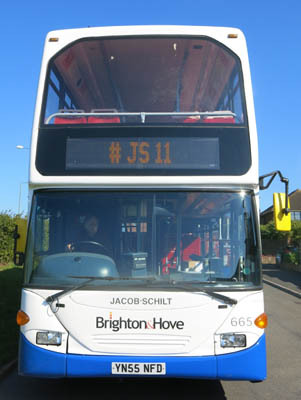 665 Scania Omnidekka - named in honour of Jacob Schilt after the Shoreham Airshow disaster from October 2015. Roundel missing from upper deck replaced February 2016.